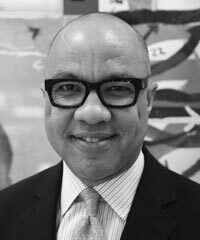 Darren Walker is the president of the Ford Foundation, the second largest philanthropy in the United States, with headquarters in New York City and offices in Asia, Africa, the Middle East, and Latin America. Walker, who was appointed president in July 2013, has been a leader in the nonprofit and philanthropic sectors for more than two decades, focusing on global social justice issues, including human rights, urban development, and free expression. As the Ford Foundation’s Vice President for Education, Creativity, and Free Expression from 2010 to 2013, he oversaw programs in media and journalism, arts and culture, sexuality and reproductive health and rights, educational access and opportunity, and religion. He was also a driving force behind JustFilms, one of the largest documentary film funds in the world. Prior to joining the Ford Foundation, Walker was Vice President for initiatives at the Rockefeller Foundation, where he led both domestic and global programs.